What Is the Punishment for Possession of Cocaine in New York City? | Raw Law | Law Offices of Adam M. Thompson, P.C. If you are currently facing charges for possession of cocaine in New York City you should be concerned about the potential penalties in the event you are convicted of the offense. 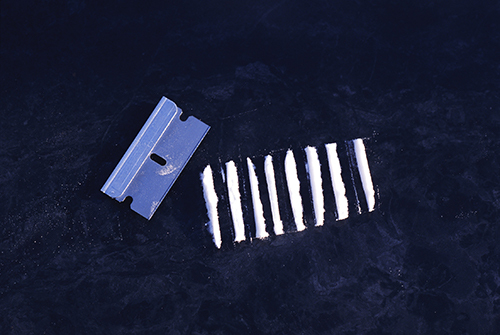 Not only could you face serious court ordered penalties for possession of cocaine in New York City but there are a number of non-judicial consequences that could negatively affect you for years to come as well. Because no two criminal prosecutions are the same it is always best to consult with an experienced New York City criminal defense attorney for specific guidance and advice; however, a general understanding of the potential penalties for possession of cocaine in New York City is a good place to start if you have been charged with the offense. In New York, possession of any controlled substance, including cocaine, can be charged at a number of different levels of severity, depending on the type of drug and the quantity involved. The following provides some basic guidelines for the judicial penalties that could be imposed if you are convicted for possession of cocaine at different levels. Possession of less than 500 mg of cocaine - Classified as criminal possession in the 7th degree, a Class A misdemeanor which carries a penalty of up to one year in jail. Possession of more than 500 mg but less than 7 grams (1/8 of an ounce) of cocaine - Classified as criminal possession in the 5th degree, a Class D felony punishable by 1 to 2 ½ years in prison. Possession of more than 7 grams but less than 14 grams of cocaine - Classified as criminal possession in the 4th degree, a Class C felony punishable by 1 to 5½ years in prison. Possession of more than 14 grams but less than 4 pounces of cocaine - Classified as criminal possession in the 3rd degree, a Class B felony punishable by 1 to 9 years in prison. Possession of more than 4 ounces but less than 8 pounces of cocaine - Classified as criminal possession in the 2nd degree, a Class A-II felony punishable by 3 to 10 years in prison. Possession of more than 8 ounces of cocaine - Classified as criminal possession in the 1st degree, a Class A-I felony punishable by 8 to 20 years in prison. If you have a previous conviction for possession of cocaine, or another controlled substance, the punishment you face will be increased. In addition, you could be disqualified for numerous employment opportunities as well as be ineligible for important benefits such as Food Stamps or even federal student aid for college. If you have been charged with possession of cocaine in New York City it is important that you consult with an experienced New York criminal defense attorney right away to evaluate your case and get started on your defense. Contact the Law Offices of Adam Thompson today by calling 855-497-2326 to schedule your appointment.